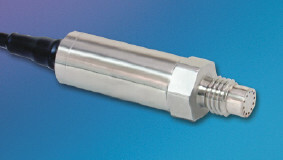 The ETLR-634-312 (M) is an ultraminiature threaded redundant pressure transducer. The two sensing elements utilize a patented leadless technology, dual independent signal output combined in the same housing. The two sensing elements are designed to operate independently. All wetted parts of the transducer are compatible with most industrial and automotive fluids.